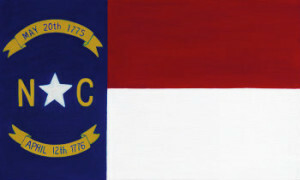 Being headquartered in the Raleigh – Durham “Research Triangle” area of North Carolina, we love to live and work here. At Christian Counseling Associates of Raleigh, we truly understand what a blessing it is to live and own a business in the Old North State. From the coast to the mountains, and of course in our home region, Christian Counseling Associates of Raleigh is proud to help you with your counseling needs. From the coastal region, including the Outer Banks, Wilmington, and Greenville, all the way to the state’s beautiful mountain communities, like Asheville and Boone, Christian Counseling Associates of Raleigh is here to help. We specialize in all manners of marriage counseling, include 3 Day Couples Intensives for couples in Piedmont cities like Raleigh, Durham, Chapel Hill, Fayetteville, Greensboro, Winston-Salem and Charlotte. For many couples that are in the midst of a distressed relationship, our 2/1 Day Couples Intensives can be a powerful, effective solution. Two experienced, credentialed counselors work closely with our clients for approximately 20 hours over a compressed period of time. Once you have familiarized yourself with our Intensives programs, please do not hesitate to contact us by phone at 919-260-5830 or by online contact form. We are proud to provide intensives here in the Triangle area for Tar Heel resident from through out the state. On occasions we also conduct marriage counseling intensives outside the immediate Raleigh-Durham area. If an intensive or extended couples counseling service sounds promising for you or someone you love, please don’t hesitate to contact us. We welcome the opportunity to conduct a free 15 minute consultation, answer your questions and collectively determine if Intensive Counseling or other marriage counseling alternatives will be the best choice for you.